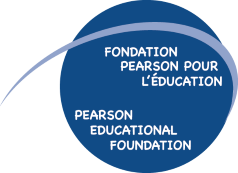 The Pearson Educational Foundation is an incorporated organization with Canada Revenue Agency charity status (CRA #891079048RR0001), legally independent of the Lester B. Pearson School Board. We offer financial support to schools and programs throughout the board at the elementary, secondary and adult education levels. We fund hands-on, innovative projects generated by the teachers, which enhance and go beyond the regular government-funded curriculum, by supplying the necessary materials. PEF assists a broad variety of programs for special needs students both assisting their integration into regular classrooms, and allowing them to attain their full potential. In addition, PEF supports economically disadvantaged students, supplying winter outerwear and assisting the school board’s “Hungry Kids Program”: breakfasts and hot lunches from K-Grade 11. These programs are expanding rapidly, year over year. In addition, summer programs are supported for this demographic. PEF manages a large number of bursaries and scholarships awarded at convocation for the high schools; and also assists large-scale fund raisers run by the schools themselves, by providing the tax-receipts and through the detailed accounting of the use of the moneys, as required by Revenue Canada.